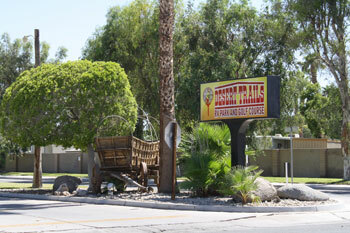 Come and visit Desert Trails RV Park & Golf Course in El Centro, CA. "Where the Sun Spends the Winter"®. El Centro records more sunny days per year than any other area in the country and has the uniqueness of being 50' below sea level. El Centro is the winter home for the Navy's Blue Angels Flight Demonstration Team. We are centrally located near San Diego, Yuma, Palm Springs, Imperial Sand Dunes, Salton Sea and we are only 10 miles from the Mexican border. 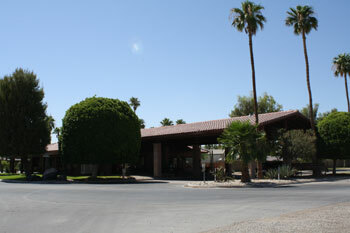 There is also abundant shopping and choices for dining here in El Centro, most of which are only minutes from the park. We are also close to activities such as hiking, fishing, hunting and many off road trails. We are a proud member of the El Centro Chamber of Commerce who sponsors SCORE International off road races twice a year here in the Imperial Valley.